Pyre reviewed on PC and PlayStation 4 by TJ Hafer. Watch more IGN Game Reviews here! That's a hell of A review. This is the type of review that makes you want to play a game even if you weren't interested in it before. The first thing I thought when I saw this game was that this looks like a supergiant game. How identifiable there beautiful game astetic is. great game with numerous outcomes, even if you loose the rituals. So many differents endings and paths. Uh yes you can. People keep forgetting the amazing Share Play function on the PS4. So many indie local co-op games are perfectly playable online by doing this. Glad to see this game get awesome scores! A friend of mine worked on the music! I'm getting this when I get home tonight. Loved Bastion and Transistor and this looks even better. David Wilcock is that you? I'm sure this game is amazing but I'm just not feeling the art style. It's simply not for me. Anyone else share the same sentiment? This is stupid, should've given it that 10/10. It's the first game that I believe deserves to be titled a perfect game since the witcher 3. I wanna see what Supergiant can do with a AAA budget. This game has me like a good book. Literally. There's a lot of reading. Does anybody know how to exit the game via the menu on PS4? There is no exit to game menu or anything. Do you have do it manually and exit back to the PS4 dashboard? For me, it deserves a solid 9.5, but that's because at least 60% of the game is basically a VN, and I really like visual novels. The art and soundtrack is where the game really shines, and the gameplay, even though it's not THAT deep, is certainly fun and engaging more often than not (specially after you get access to Pyre's version of limiters). Still, while it might not be for everyone, it's a very good looking visual novel/sport game with some neat rpg elements, and if you really like the characters (which is pretty hard to avoid), you'll probably end up playing at least 10 hours nonstop like I did. Prey – released with bug 4/10 poor! 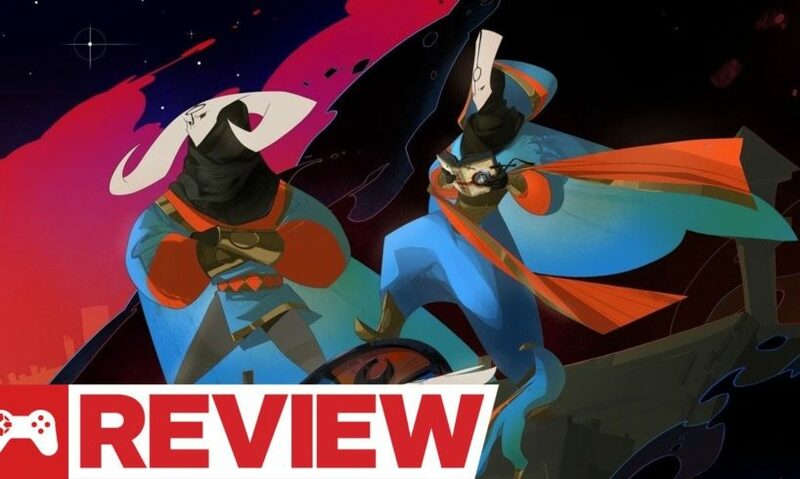 Pyre – released with bug 9/10 amazing! my question of why didn't you booyah alpharad? This is one of those games I'd rather play on a handheld. Hopefully it comes to the switch, I would but it in a second on there. why cant you play 3×3 on a 3×3 game? Oh god they really used the sims style talking? Jesus christ IGN could you have written anything more pretentious? You're reviewing a video game. We all love video games for being a unique medium. You don't have to try to elevate them with such flowery descriptions. Why would anyone dress a sport party-game in so much overwrought pretentiousness and pomp? Oil and water. No offense, but this review has superfluous commentary for no reason. I understand someone can get passionate about the game, but I'd prefer what's only what's necessary to be addressed. Tbh I wasn't expecting much from Pyre since the slightly meh announcement but now I'm definitely going to check it out. I really hope it lives up to it high praise lavished in this review. Not quite feeling this one as much as Bastion or Transistor because I don't feel like it's an intimate experience with a character, but the polish is still there and praiseworthy. Bitcoin Tumbles In Price, Set To Go Lower – What Is Happening To Crypto Markets?